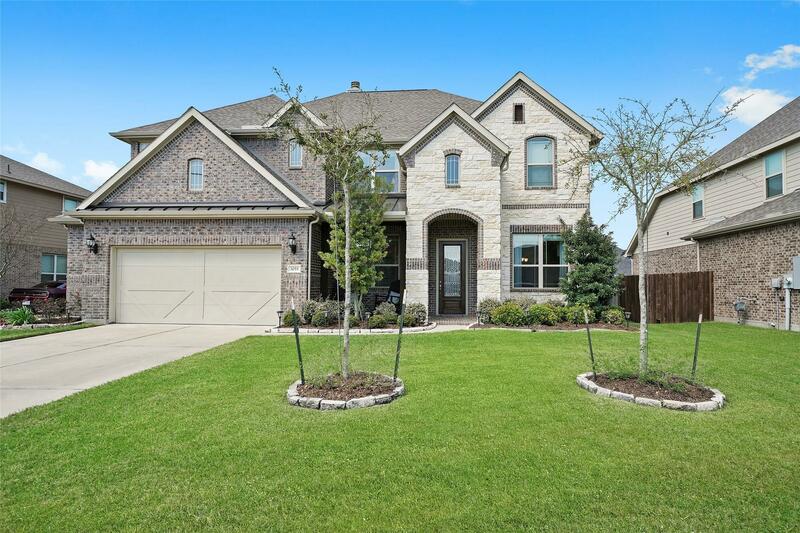 You wont be disappointed when you enter this gorgeous Gehan home. Open floor plan with high ceilings. Gorgeous stone fireplace with stone all the way to the ceiling. Wood flooring throughout downstairs and tile in the kitchen make it low maintenance. Great kitchen for entertaining and bar for additional seating. Entertain your guest on the covered patio with outdoor kitchen for those summer BBQ's. You will be amazed at the amount of space and storage this home has to offer. The staircase leading to the upstairs has wood and decorative iron spindles. There are 4 bedrooms, 2 bathrooms and a game room and media room upstairs. Media Room is currently used for work out room. The oversized 2 car garage allows for additional storage and a work bench and has a door leading to backyard. Buyer to verify all information and measurements. NEVER FLOODED!